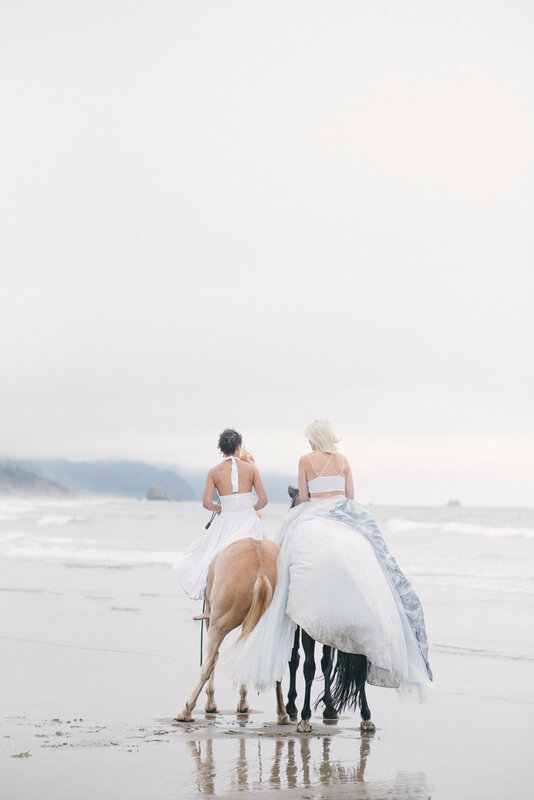 I truly believe in fate. 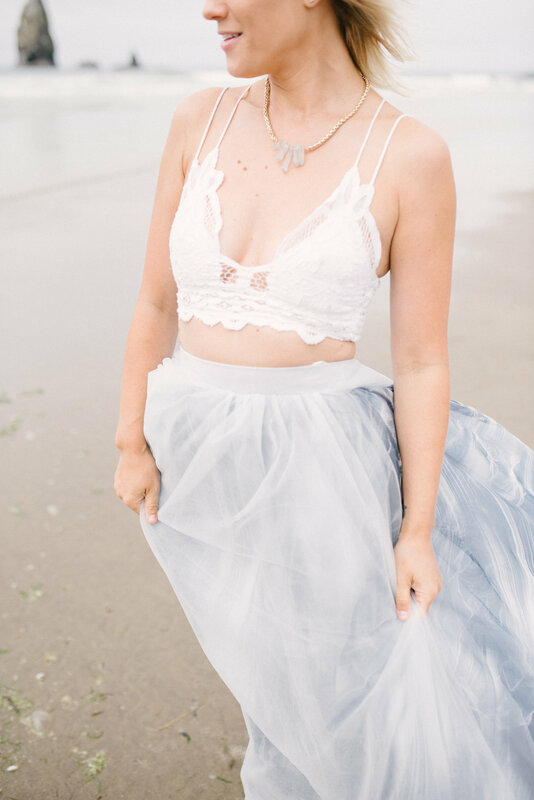 A few days before our trip to the Pacific Northwest, a photographer friend from Pittsburgh Krystle messaged me about getting together to talk about some of the trips we've been on since they are planning similar ones! 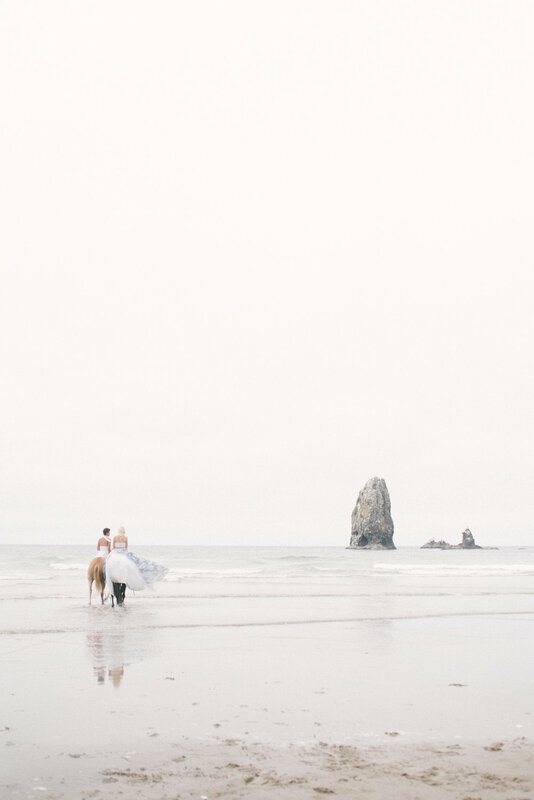 Upon chatting, we found out that we were both heading to the PNW at the same time! 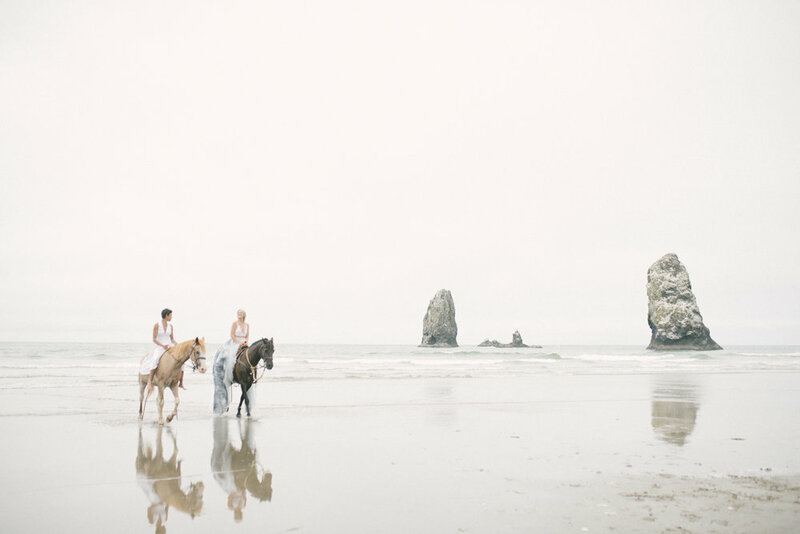 So of course we decided to trade shoots and met up at the beautiful Cannon Beach along the Oregon Coast. 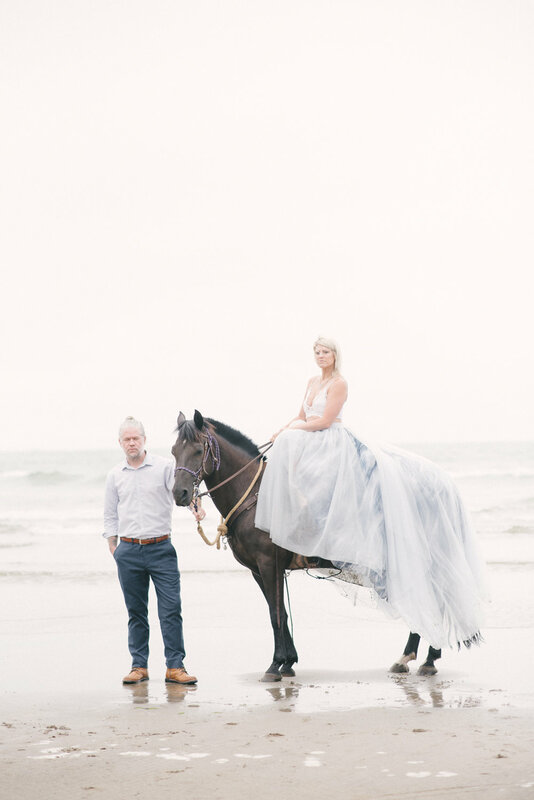 Krystle and Edward were recently married in Iceland, so it was only right to continue their celebrations along the coast. 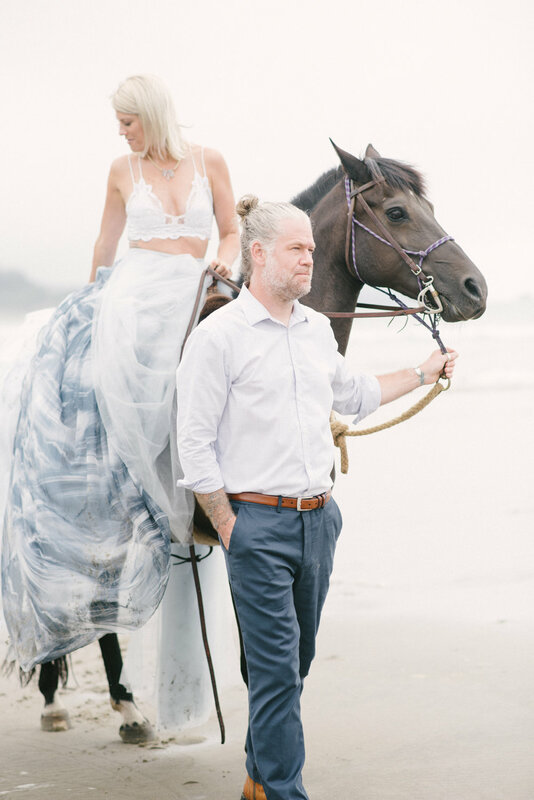 At the end of our session, this sweet couple riding two beautiful horses came up and approached us (because Krystle's skirt was insanely gorgeous), and asked if we wanted to take some photos with their girls. 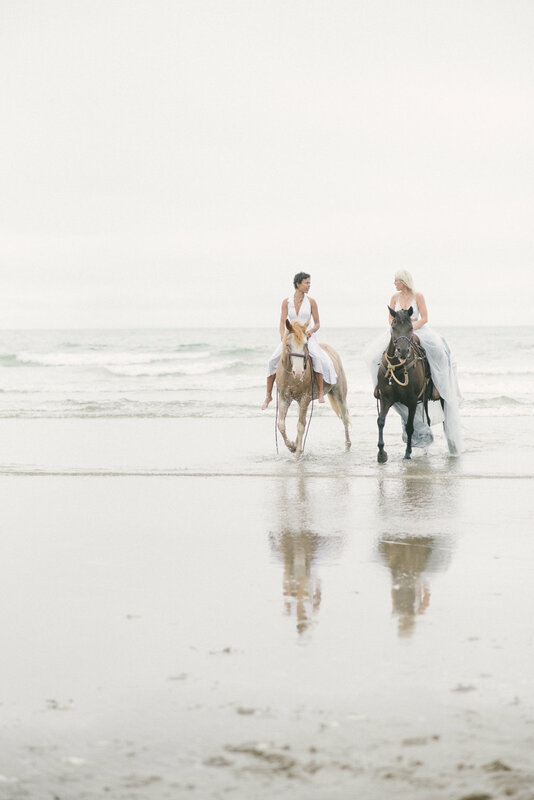 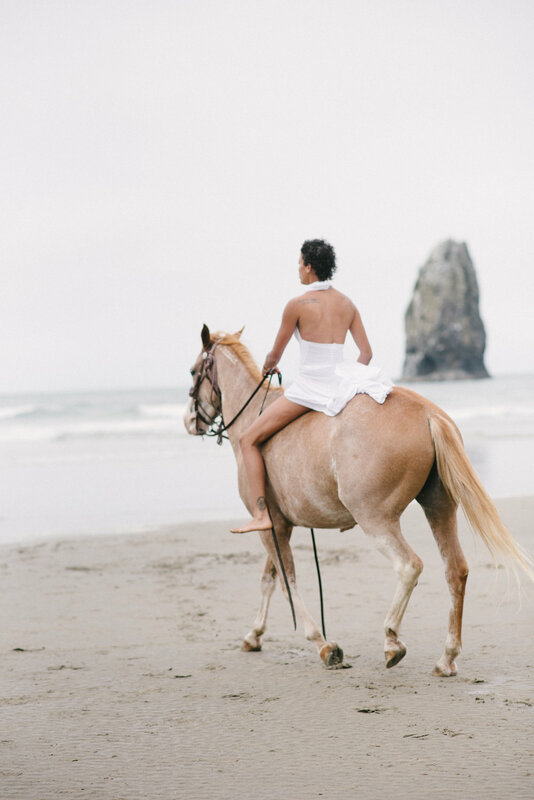 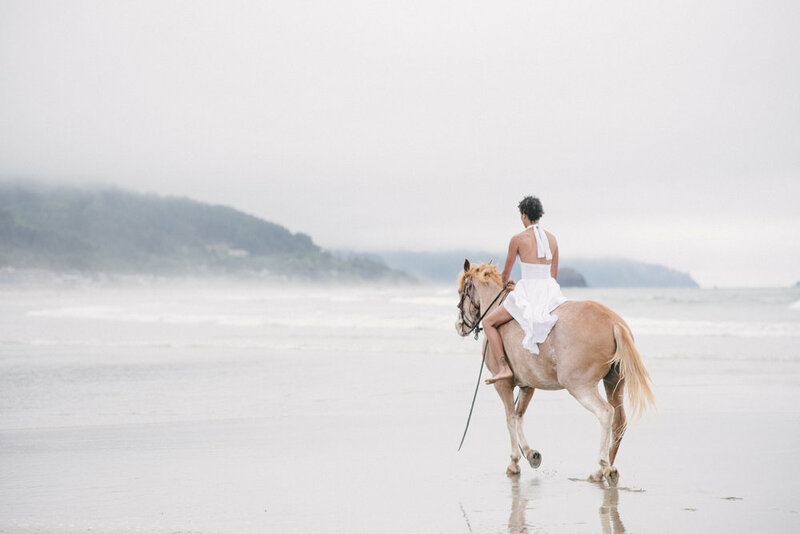 Of course we said yes, and a magical shoot with elegant horses happened on the beach (also some with the horses' owner Brooke). 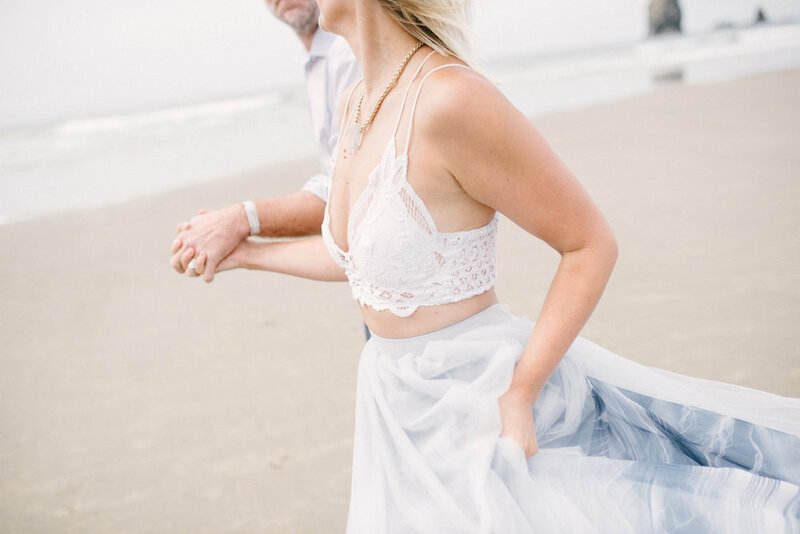 It was a truly serendipitous day to end our trip!